As India is celebrating its 72nd Independence Day with gaiety and fervor, Prime Minister Narendra Modi addressed the nation from the ramparts of Delhi’s historic Red Fort amid tight security. The first all-women anti-terror squad was the major highlight of the event. 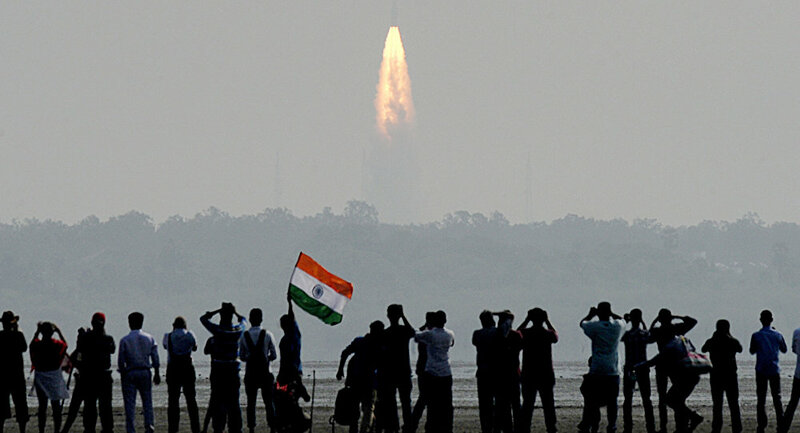 New Delhi (Sputnik): Prime Minister of India, Narendra Modi has declared that the country would be launching its first even manned-mission to space by the year 2022. He was addressing the nation on the occasion of the 72ndanniversary of India achieving freedom from British colonial clutches. Elucidating on India's journey from a fragile economy to a robust investment destination, Prime Minister Modi said, "India was once counted in the Fragile Five, today India is being hailed as a multi-trillion dollar investment destination." Earlier, before his address to the nation, Prime Minister Modi led the nation in paying homage to the Father of the Nation Mahatma Gandhi at his resting place in Rajghat, New Delhi and saluted the freedom fighters who laid down their lives for the country's independence. ​Another highlight of this year's Independence Day celebrations was the first all-woman Special Weapons and Tactics (SWAT) team for anti-terrorist operations to secure the function at Red Fort, where Prime Minister Narendra Modi addressed the nation. ​In 1947, on this day, India achieved independence from the British colonial clutches. Lord Mountbatten, the last British Viceroy of India introduced the Indian Independence Bill in the British House of Commons on July 4, 1947, and passed it within a fortnight. It provided for the end of the British rule in India, on August 15, 1947, and the partition of India into the two dominions of India and Pakistan.